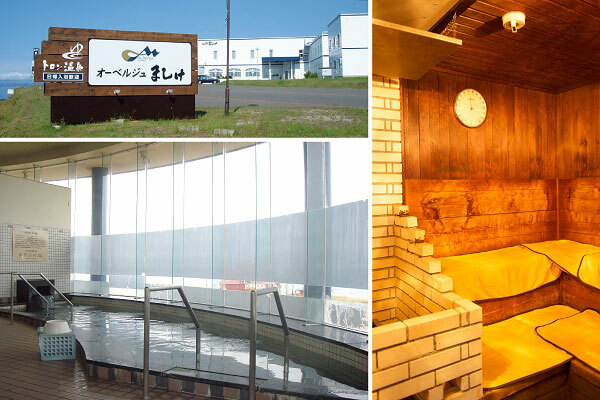 Refresh your mind and body at a unique thermal hot spring. A trip isn’t worth having unless you visit a hot spring! 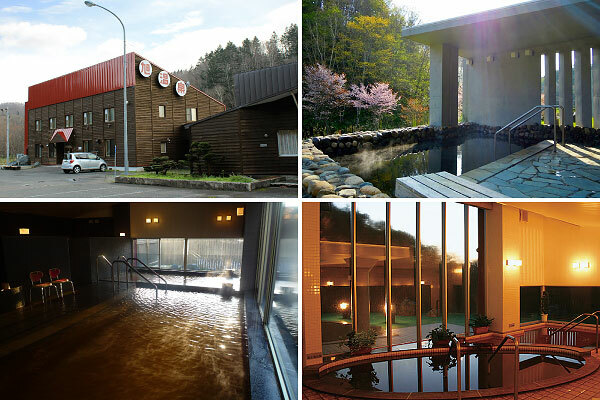 Each town in the Rumoi area has a hot spring facility which soothes weary travelers with properties unique to each location. 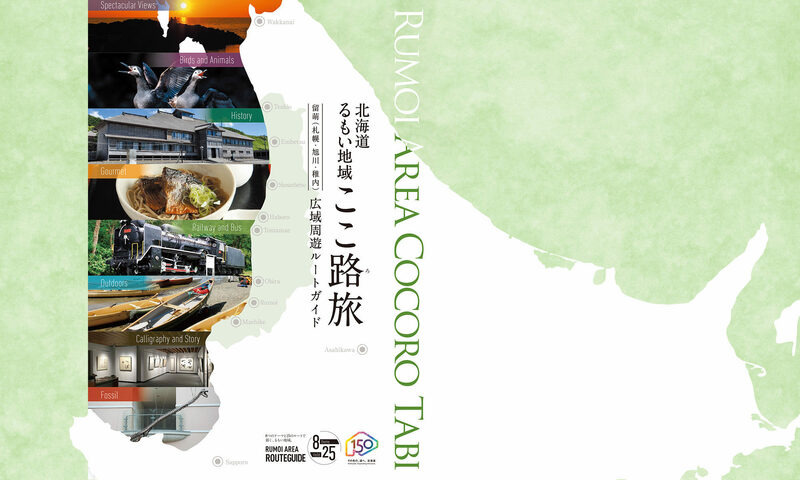 Enjoy a majestic vista of the Sea of Japan, or take in the scenery from a spring tucked in among the mountains-any spring you visit in the Rumoi area will be an enjoyable. This hot spring is right next to the Kagaminuma Seaside park. The water in this hot spring has a unique aroma due to the natural element hydrogencarbonate ion. 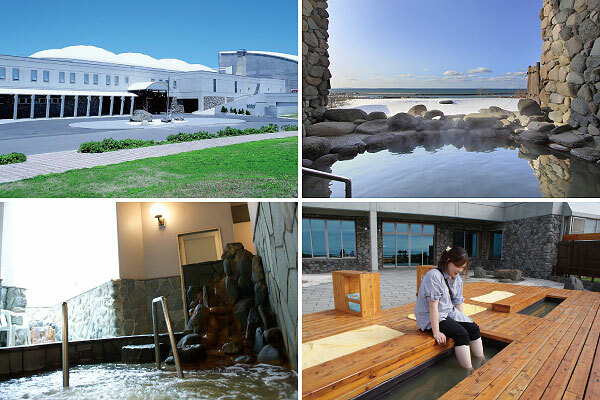 There are a variety of indoor baths but the outdoor open-air bath is especially popular as the view of Mt. Rishiri on a clear day, or that of a spectacular sunset, can be taken in while you bathe. Fees: Jr. high and over 500 yen, Elementary age 250 yen, Pre-school and younger is free. A towel set can be rented for 300 yen. *The information above may be revised in 2018. 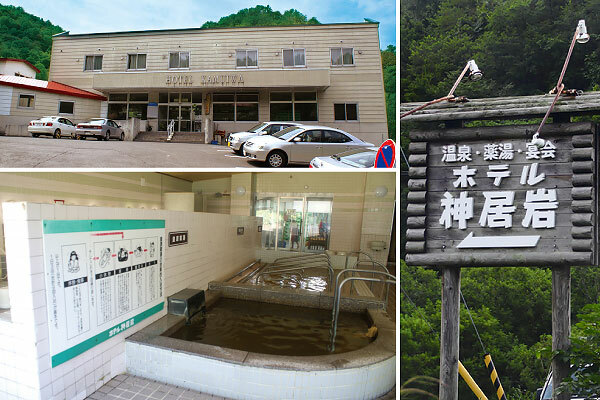 This hot spring is located around 6 kilometers inland from Route 232. You can enjoy a rustic escape and two types of hot-spring water at this remote hot-spring inn. Fees: Jr. high and above 500 yen, Elementary age 250 yen, Pre-school and younger is free. Face towel rental is 100 yen, Bath towel rental is 200 yen. You can look down at the Toyosaki Fishing Port and the breathtaking view of the coastline which extends beyond. The hotel boasts a menu which includes dishes made with locally caught blow-fish and other fresh seafood. The roadside rest area is located adjacent to this facility. Fees: Jr. high and over 500 yen, 4yrs~Elementary age 250 yen, 4 and under is free. A towel set can be rented for 200 yen. TThis facility is characterized by the white walls and ship-like appearance of the building. 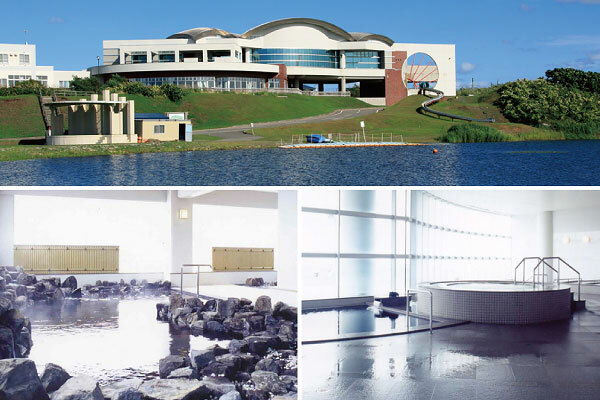 You can relax in the waters of this natural thermal spring at both indoor and outdoor bathing areas. The first floor lobby is set up as a Roadside Rest Area and gifts or other locally produced specialties can be purchased here. Fees: Jr. high and over 500 yen, 4 yrs. ~Elementary age 280 yen, 4 yrs. and under free. Bath towels are available for rent for 100 yen. The unique structure of this facility resembles clouds in the sky and houses both the hot spring and the roadside rest area. The two bathing areas are rotated by gender and the sodium content of the waters warms you through and through. 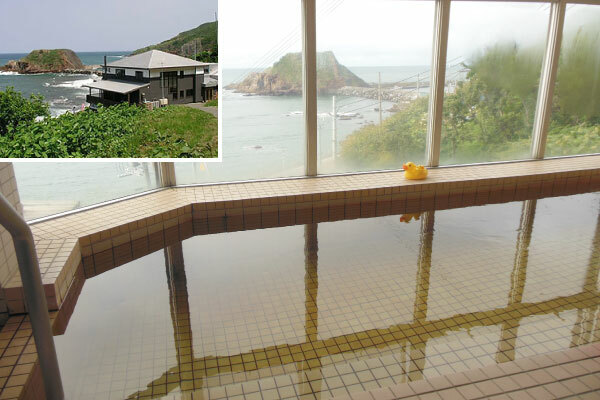 Teuri and Yagishiri islands can be seen beyond the Tomamae harbor from the open-air bathing pool. Fees: Jr. high and above 500 yen, Elementary age 250 yen, Pre-school age and younger is free. Face towels are available for rent for 150 yen, bath towels are 300 yen. 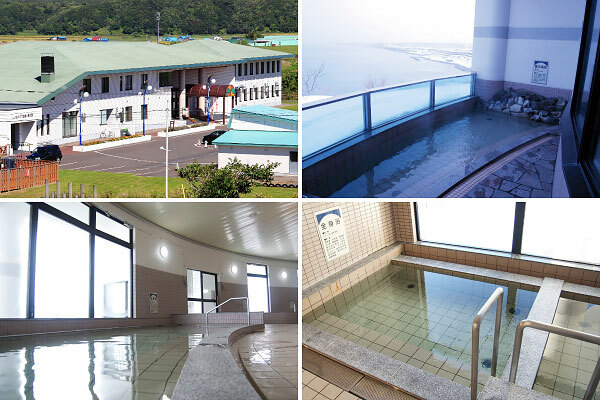 The semi-natural Komyoseki hotspring is popular and the odorless, colorless water is infused with mineral magnesium and calcium. The Boyodai Camp Ground and Obira International Park Golf Course are also located nearby. Fees: Jr. high and above 500 yen, 4 yrs.~Elementary age 300 yen, 4 yrs. and younger is free. This natural hot spring is located near the Kamuiwa Comprehensive Park. You can enjoy the two waters types which include the mineral properties neutral hypotonic and sodium chloride. The medicinal herb infused bath is also popular. Fees: Adults 500 yen, Children 200 yen, Pre-school and younger is free. Fees: Jr. high and above 550 yen, Elementary age 310 yen, Pre-school and younger is free. This hot spring, which is located 20 minutes away from central Mashike, is small but popular, especially with local bathers. 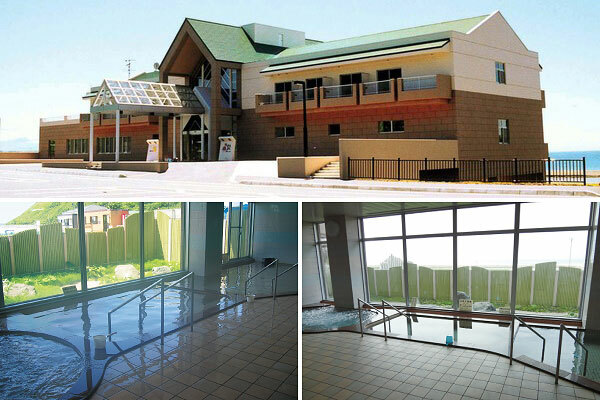 It is located on a hill over Route 231 and the view from the open-air bath is spectacular. (Final entry 20:15). The third Thursday of the month is a scheduled holiday unless it falls on a national holiday. In this case the scheduled holiday is moved to the previous day. Closed from December to March. Fees: Jr. high and older 500 yen, 4 yrs. ~Elementary age 250 yen, 4 yrs. and younger is free. 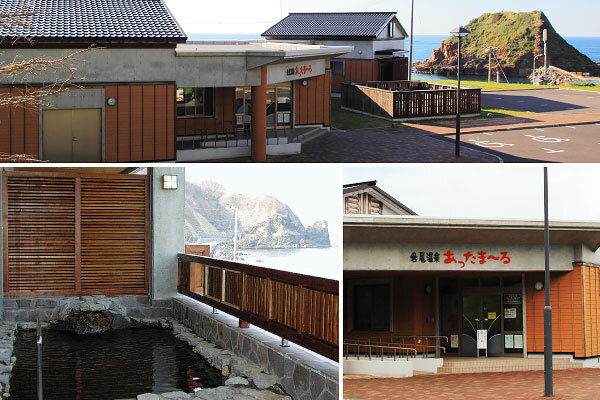 This snug hot spring inn stands on a spot overlooking the Mashike seaside and is popular for its private atmosphere. This natural hot spring is not equipped with an open-air bath, but it is still quite popular for the warming nature of the water. Bedrock bathing is available for a separate fee. Please be advised that this hot spring isn’t open during the winter season. Hours for day trippers: 11:00~21:00, Sat. Sun. and holidays 10:00~20:30. Closed on Wed. and from November to April.